Hey, it looks better than Righteous Kill! 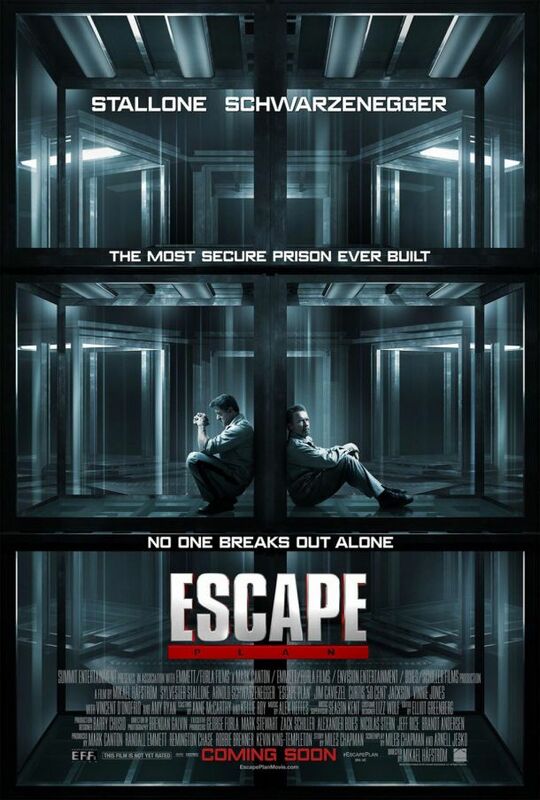 Originally called The Tomb for the fictional prison around which the film is based, Schwarzenegger and Stallone’s big teamup movie is called Escape Plan these days. 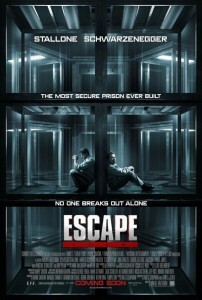 In it Stallone plays a prison-breaking savant capable of escaping any facility. When he’s tricked into a new prison designed to contain the most wily of prisoners, he teams up with a begoateed Schwarzenegger to do the escape thing. There are lots of little clever, minute tricks and Ocean’s 11-style gags, plus the most substantial teamup of these two action stars yet. The film hits October 18th and also stars Vincent D’Onofrio, Jim Caviezel, Curtis “50 Cent” Jackson, Vinnie Jones and Amy Ryan.